I needed a sold color tablecloths to hide an ugly table. It washed up well. Very happy for the quality/ price. The color is exactly the color that is shown. I have a very long table. It is hard to find just the size I needed, but this one seems to do the trick. It is very beautiful and elegant, just wished it was just a few inches wider and longer. Crisp, clean and elegant! It always looks great and launders easily. 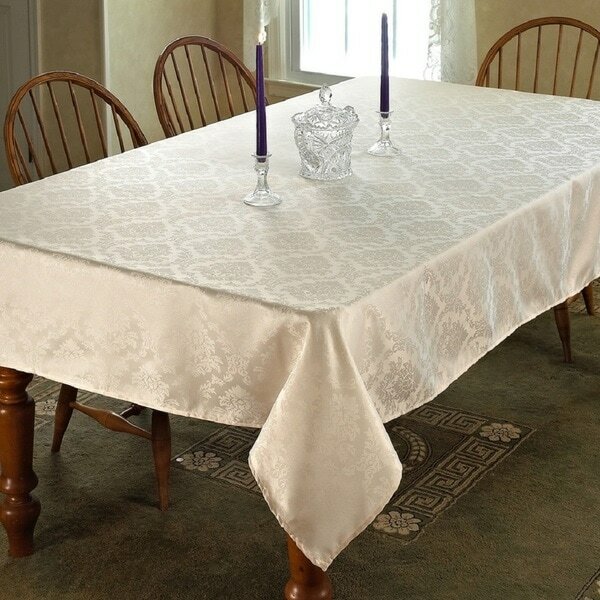 Love this table cloth, we get many complements on it. Beautiful! Looks better than pictured.